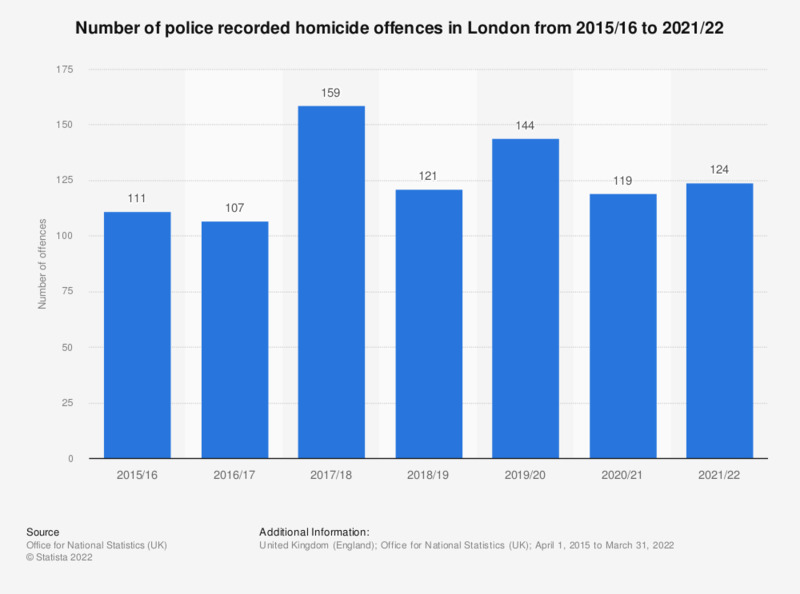 This statistic shows the total number of murders recorded by the Metropolitan Police in London from reporting year 2010/11 to reporting year 2018/19. The reporting year of 2017/18 had the highest number of homicide offences at 163. Between 2011/12 and 2016/17 the total number of murders varied only slightly, fluctuating between 93 and 103 murders across the whole period. * The Metropolitan Police are not responsible for law enforcement inside the square-mile sized City of London.